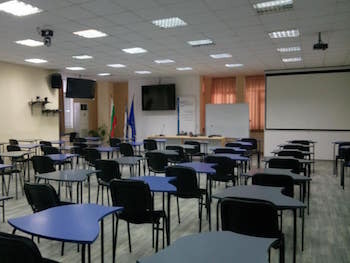 Varna University of Management can offer conference halls for rent in the cities of Varna and Dobrich. 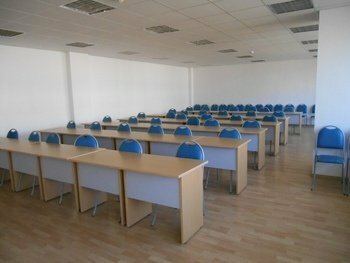 Available for use are small, medium and large halls, located in the buildings of Varna University of Management - new, spacious and modern. The address in Dobrich is: 3 Bulgaria street (opposite Dobrich Municipality). The halls are suitable for conferences, seminars, meetings, trainings and other events. We offer various layout options and arrangement according to the customer's requirements. We have high-speed internet access and full technical equipment - multimedia, screen, laptop, flipchart, sound system, simultaneous translation equipment. 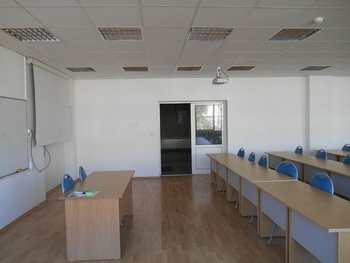 We would like to offer a new, renovated room with a capacity between 60 -100 seats, suitable for training, conferences, seminars, roundtables and other events. 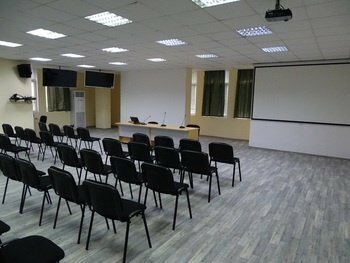 The hall has a brand new sound system, equippment for video conference, possibility of real time broadcasting , multimedia, projection screen, flip chart, laptop, simultaneous translation system, 75" TV screen. Price is in BGN, VAT included. In case of long-term rent, price can be negotiated with the management of the company.